A criminal case can open and outwardly quite respectable citizen just because of the fact that he pointed out the boor in his place, in word or deed. 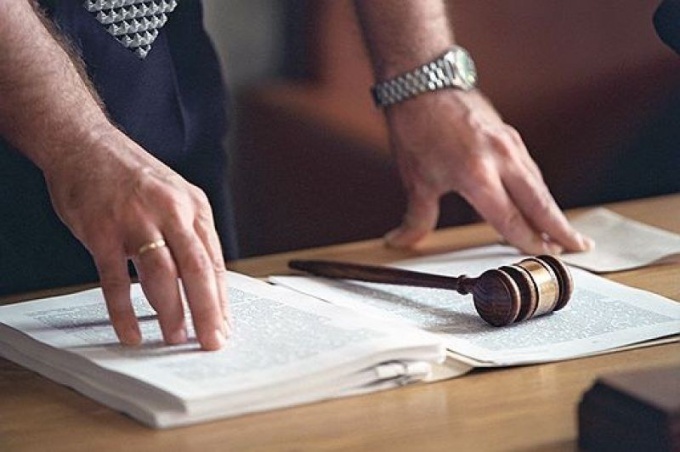 However, even if not to consider such extreme cases, sometimes to learn, started or not on your criminal case, can only be addressed to the competent authorities. These same authorities should be contacted in order to find out whether it is brought against someone who caused you emotional, physical or material damage. Contact the police Department at the place of your registration, if still you do not know, started the criminal case against the person who caused you damage, if your statement still there was no reaction on the part of employees of internal Affairs. If the case is still opened, ask in connection with your appeal went unheeded. It often happens that the statement "lose" or do not think the occasion is too serious to prosecute. In this case, contact the Prosecutor's office a complaint against the inaction of police officers. The complaint must be made in two copies and each of them shall bear the registration number of the document. Include all of your existing documents proving the legitimacy of your demands. However, it is possible to send a registered letter with notification. In that case, if within two weeks from the date the Prosecutor's office, no "progress" in the case did not happen, you may request the refusal in excitation of criminal case and complain to a higher authority. If possible, contact the office of the Deputy of the state Duma of the Russian Federation in your district and urban/regional administration with the complaint. In the end, if the rightness is on your side, the case will be opened, and unscrupulous employees of internal Affairs will be held accountable for inaction. If you want to find out whether the case filed against you, contact the office UVD – step rash. Ask to know about confidants or relatives. When it comes to credit card debt Bank or evasion of military service, contact the FSP and the military, respectively. Neither the bailiffs nor the military have no right to detain you, so go there quietly. If your fault was the accident, which killed or injured people, and you fled the scene, ask someone from relatives or those persons whom you trust to contact the police and find out whether there was instituted a criminal case against you. But in any case, it will then call the relatives of those killed or wounded with an expression of condolences, and ask how you can atone for them, not ignore them.